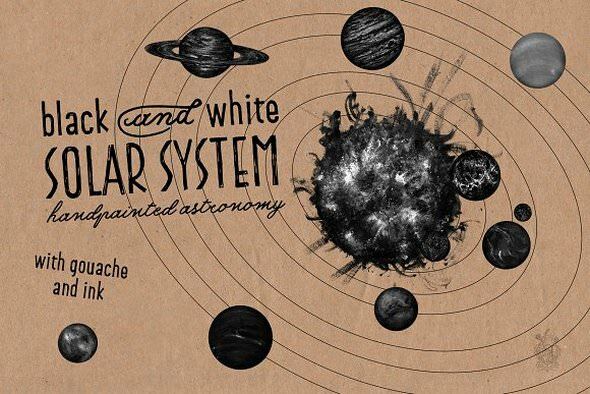 Solar System with gouache and ink SPECIAL OFFER NEW RELEASE - ONLY 11$ FOR A FEW DAYS. HAPPY SPRING TO ALL PEOPLE! Items purchased under the Standard License may be used to create End Products for Sale where lifetime sales of that Product do not exceed 500 units.